The Internet's Largest Fairy Store! 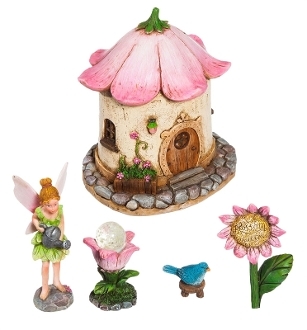 Blossom BLVD Fairy Garden Set for Miniature Gardens - EXCLUSIVE. Set includes house, fairy, bird, gazing ball, and flower. Copyright 2010-2014 Fairy Garden Store by Dream River Marketing Group LLC.